Golmaal Again Joins 200 crore Club. All Time Highest Grossing Bollywood Movies List. Golmaal Again has joined all time highest grossing Bollywood movies list in 13th Position. If we don't include Baahubali 2 (Hindi), then it is actually 12th all time Highest grossing Bollywood movie. Currently Golmaal Again has collected 201+ crore nett in 24 days. Film will soon go over Happy New Year and 3 Idiots and will be 11th highest grossing Bollywood movie of all time. In actual it will finish in 10th if we don't include Baahubali 2 (Hindi). Film will find it tough to break Prem Ratan Dhan Payo collection now. Golmaal Again joins elite list of 200 crore club. Film has achieved this feat in 24 days flat. Film enjoyed one of the best opening and best trending of the year. Film is the first Blockbuster purely coming from Bollywood. If we take Baahubali 2 (Hindi) then it is the 2nd Blockbuster of the year. Baahubali 2 was an ATBB (All Time Blockbuster). 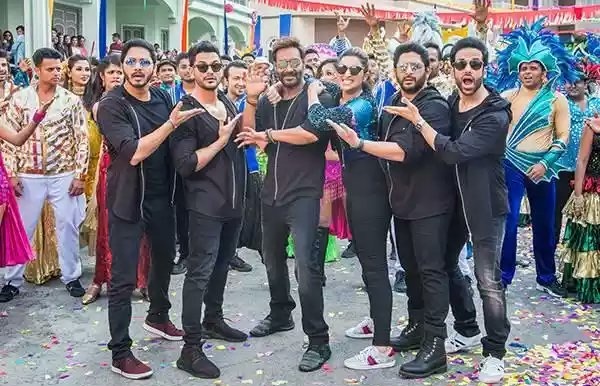 Golmaal Again is the Highest grossing Bollywood movie of the year much ahead of Judwaa 2. Film lifetime collection is heading towards 206-207 crore nett mark looking at the current trending of the film. 11. Golmaal Again* (2017) - 206-207 crore nett (expected in lifetime). Blockbuster.